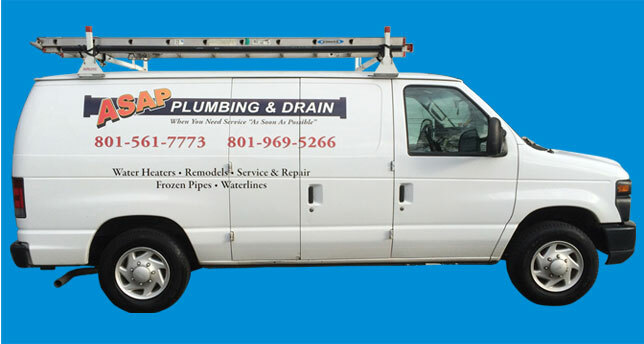 If your Sandy, UT home has plumbing issues of any type, whether it is a leaking faucet or a clogged drain, calling one of our professional plumbers can be the best way to get the issue resolved in a timely and efficient way. We can help you with all your home’s plumbing needs. Our plumbers are trained to help deal with minor issues, such as leaking faucets and clogged drains to more complex issues such as pipes that are frozen or may need to be completely replaced. Many times a seemingly minor issue such as a leaking faucet can be the sign of more complex problems, such as water pressure issues in the home. Because of this, when our professionals come out to fix the problem, they will not only handle the repairs needed, but they will try to determine the cause of the issue as well. This can be helpful in making sure the issue does not reoccur later or turn into a more serious issue that can be more costly to repair. One of the most common plumbing problems in a home can involve the sewers and drains in the home. Having one of our experienced plumbers handle these problems, can be the best way to get the issue fixed. Our plumbers will be able to assess the situation and determine if the issue is a clog in the pipes or if the drains need to be cleaned using a high-pressure hydro jet. In addition, they will inspect the other lines in your home to ensure there are no issues developing, which also require attention. Our team of plumbing professionals can also be of great assistance with water heater issues as well. Whether your unit needs minor repairs or a complete replacement, our team can handle the job for you and make sure your home is receiving heated water as quickly as possible.